New York City started laying railway track back in the mid-1800s. But, by 1934, trains had caused so many fatalities at street level that one particular section, the High Line, was raised 30 feet off the ground. When they constructed the elevated bypass, builders didn’t bother going around the many factories and warehouses that lined the 1.5-mile route on Manhattan’s West Side. They just rolled the locomotives right through the upper floors of these buildings. I tried to imagine what that must have looked like as I walked the High Line this past summer. This amazing public park is an innovative combination of pedestrian pathways, green spaces, water features, viewing platforms, sundecks and art pieces. The new space was designed by landscape architects James Corner Field Operations and architects Diller Scofidio + Renfro. Boasting impressive views of the Manhattan skyline and Hudson River, the Line meanders from Gansevoort St. to West 30th St. through the historic Meatpacking and Chelsea districts. 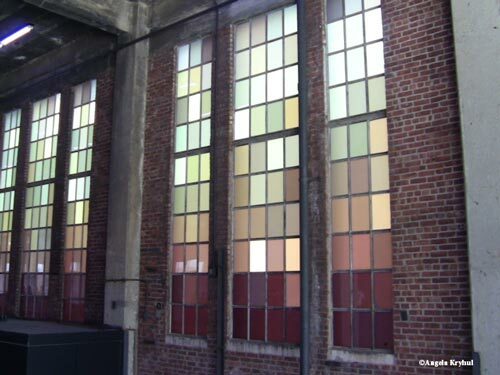 These days, many of the former factory buildings and slaughterhouses are home to art galleries, museums, restaurants, design studios and fashion boutiques. 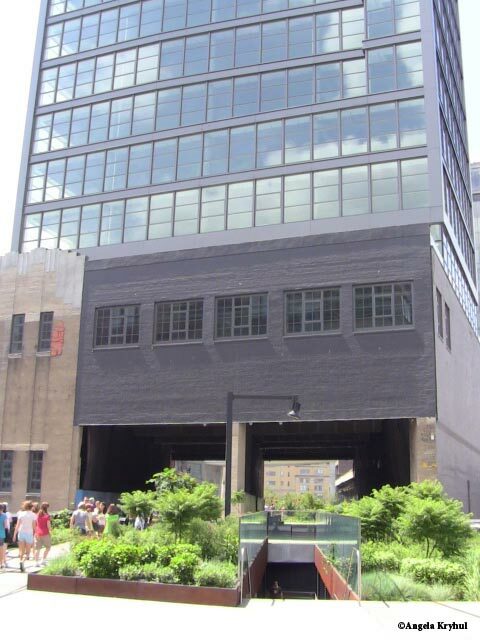 Once derided as an eyesore and slated for demolition, the High Line didn’t become a public park until 2009. The trains had stopped running in 1980 and the rail line sat idle for three decades before the historic industrial structure was reclaimed for public use. 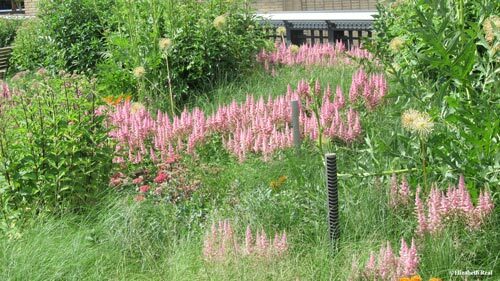 Now, a green roof system helps irrigate landscape beds containing 210 species of low-maintenance plants. The stylish wood benches dotting the park are constructed of sustainably harvested Ipe hardwood. Art Deco railings and other steel railroad artifacts were restored and returned to their original locations. The rehabilitated High Line is an example of how cities can preserve their rail heritage. Promenade Plantée in Paris, located along the old Vincennes railway line, is another example. And St. Louis, Philadelphia, Jersey City, Chicago and Rotterdam are planning similar projects. Some people would like Toronto to one day transform its elevated Gardiner Expressway into a High Line-style park. For now, the city is redeveloping a former industrial space that sits under the Gardiner and along the west side of the Don River. Visit the High Line website for more information. Jonathan Fleming recently posted some amazing pictures of the High Line. Visit his blog.